Home» Bottle Talk » Tippecanoe and E.G. Booz Too! In his fourth updated edition of his book on cabin bottles, Thomas Haunton has stepped it up a notch and presented some of the most amazing cabin bottles on the planet today. New pictures and descriptions of highly desirable and rare examples of some new cabins both very old and the Clevenger reproductions surely make for a most interesting and very concise book this time around. 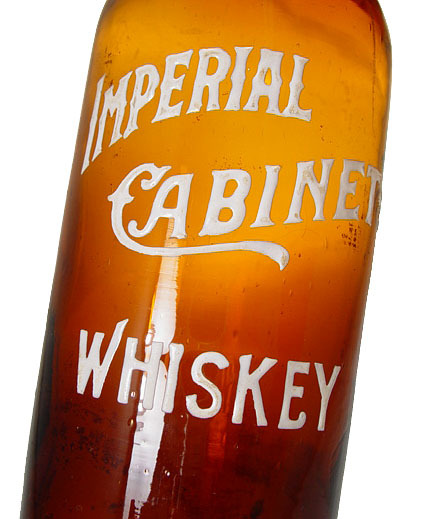 At 132 pages and color on almost every page including, as he points out, more than 200 color photos, this updated version of cabin bottles gives us a closer look at what has been up to now largely unavailable or new to many collectors of antique bottles. 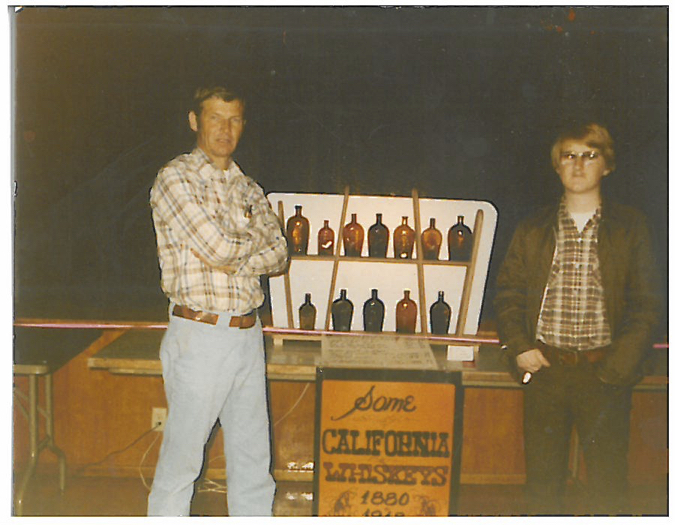 To begin with those that are aware of Thomas Haunton know he specializes in Clevenger Brother bottles, his personal collection being one of the most extensive known. His effort in classifying and making the world more aware of the work these three brothers did together is second to none. 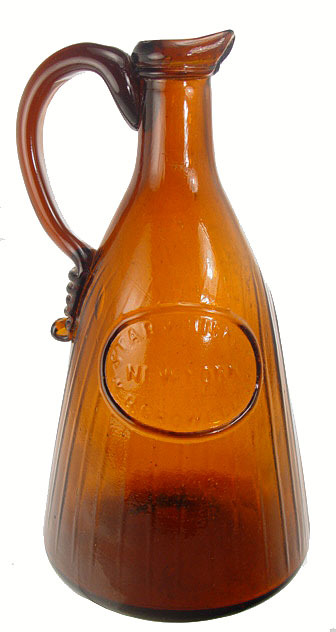 In this fourth edition Haunton has included fresh vibrant photographs of the GVII-1 and 2, otherwise known as the Tippecanoe cabin bottles. Fans of old bottles and especially cabin shaped examples will surely delight in the presentation of these treasures along with pictures of a new discovery in a flint glass excavation of the North Bend version and other rarely seen pictures of cabin bottles seen together for the first time in print. Hardly new to writing books, Haunton’s Last Links to the Past 20th Century South Jersey Glass Volume 1 Clevenger Brothers is a must have for collectors of all types of bottles. Last Links was written after the first two versions of his fascination with Tippecanoe and E.G. Booz Too! In addition to his books on bottles, as a consummate musician on the French horn, Haunton had interestingly enough published a book entitled, Horn Passages from the Symphonies of Franz Joseph Haydn back in 1980. Last Links to the Past 20th Century South Jersey Glass Volume 1 was his third glass book. (2011) Haunton’s upcoming Stories of South Jersey Glass will include glass artisans such as Emil Larson, August Hofbauer, Ralph Barber, John Rhulander, Michael Kane, Ted Ramp, as well as companies such as Dell, Beacon Glass, Marks Glass, Downer Glass, and others. All told, about thirty companies. Haunton has also written numerous articles on Clevenger glass through the years and is generally considered the authority on the subject. 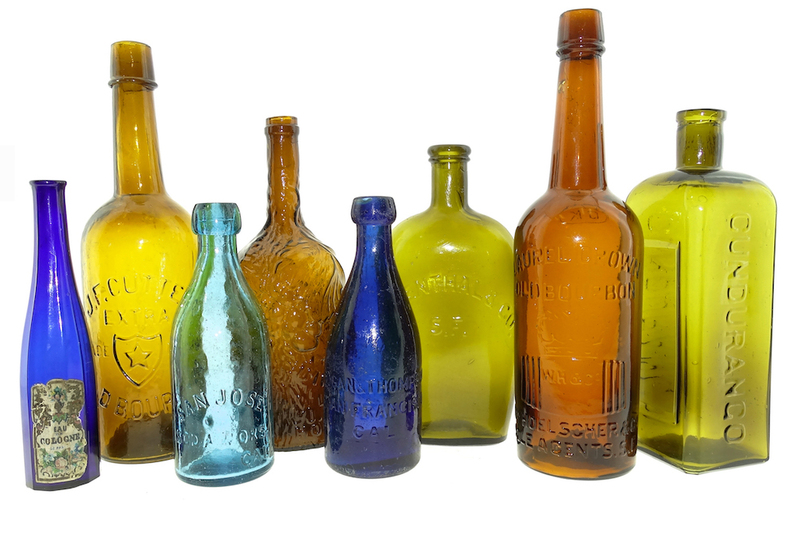 While Clevenger bottles were blown from 1930 on, it’s important for collectors to know what the reproduction is and isn’t to avoid buying the wrong bottle. His presentation of Clevenger records and the many, many pictures give the reader a keen insight into the real and not so real while still presenting the very special work of the Clevenger Bros. In addition, Haunton also shows other companies’ repros to provide a full account of bottles to both collect and be aware of. While Clevenger bottles are decades newer than the age of the original bottles they are reproducing, they still enjoy a collectible base on their own. While far from being the rarities of the 1860’s, the reproductions come in a myriad of colors and can be a lot of fun collecting on a more limited budget. We keep copies of a number of Clevenger bottles at American Bottle Auctions just to be able to show and compare to people who are bringing in their own examples. With reproduction examples on hand and often an original to match it is important for us to be able to compare the age and differences in the glass to customers visiting our offices. While the cabin section in American Bottles and Flasks and their Ancestry by McKearin and Wilson have a fairly slim list of examples known, really only six different bottles, Haunton has managed a well thought out book that will leave you feeling pretty good about what is out there for the collector today. American Bottles and Flasks only deals with originals although they do have a chapter on 20th Century Figured Bottles and Flasks and also they include a chapter entitled Commercial Reproductions of Chartered Flasks and Bottles. It’s important to also know that when we talk about cabin shaped bottles, the list of six in the McKearin book is only the tip of the iceberg. Although Haunton deals within that cabin category only along with their reproductions, any bitters collector will quickly brief you on the amazing number of cabin shaped bottles for that category alone. When you add in the various cabin shaped whiskey bottles a collector has his choice of, collectors of just cabin bottles surely have their hands full. For the older six cabin figurals which include the two Tippecanoe examples, the Jacob’s Tonic Bitters and the different variants of the E.G. Booz bottle, Haunton has done an exemplary job showing all of those and including pictures of virtually every other cabin shaped bottle in the Booz type shape known to man. It might be pointed out that these mere six bottles are known to collectors today as virtual works of art more at home in a museum and some with six figure prices if they were ever to come up for sale. Haunton delivers in a big way by opening his new book educating the reader about the original cabins and then moves onto the more often seen reproductions. His cover photo is an instant classic with six cabins most extremely rare and all very beautiful. Tippecanoe and E.G. Booz Too! is $60 plus $3 shipping and available on Ebay or straight from the author. You can send a check to Thomas C. Haunton at 47 High Street, Wilmington, MA 01887 or email him at tchaunton@comcast.net. GVII-3 E.G. Booz’s Cabin Whiskey with square corners. 1859-60′s. GVII-8A. E.G. Booz’s Cabin Whiskey. Clevenger Brothers 1934-39. Allie Clevenger (left) and Al Schneeman with Clevenger reproductions. 1949. Photo by William Augustine.